We are a glass window tinting Melbourne service that offers our customers many choices of window film brands to try and suit their budgets and we have many shades to choose from. All our window films are made in the US and they come backed by a manufacturer lifetime warranty. 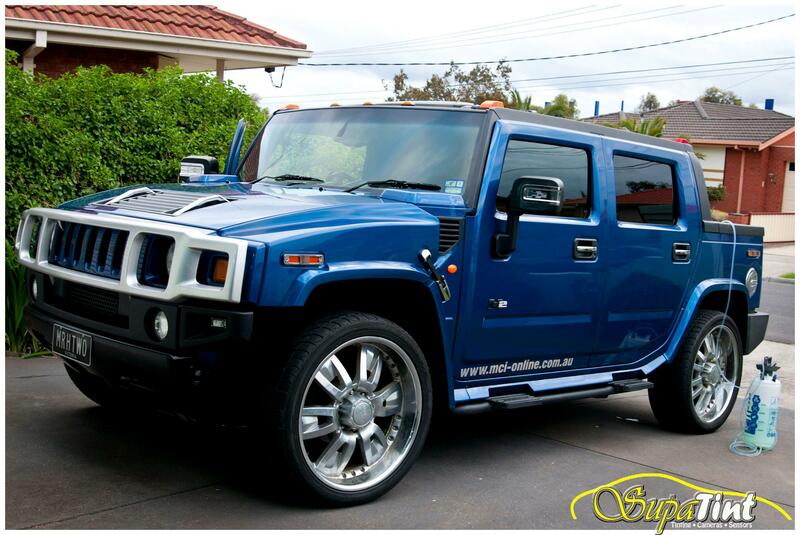 Our passionate and friendly car tinting team in Melbourne use the latest methods of window film application. We make sure we don’t leave any gaps and we apply all our film in one piece so there are no joins. We even minimise taking the door trims off of 95% of our valued customers cars while still getting a clean result. This is what makes us stand out and why we are a SupaTint Window Tinting service. To tint the windows on a car you need to have somewhere indoors with a decent amount of space, a double garage or bigger would be ideal, it also needs to have good lighting and at least one power point to use our tools to do a quality job. We only use sputtered metal window films to tint our customers car windows because they last much longer than the dyed window film. Sputtered films are still a charcoal color and not silver like most people think as soon as you mention metal film to them. Metal films last much longer than dyed films and reject heat better as well and have a much better optical clarity to look out of when driving. Our car window films can provide up to 82% solar heat rejection vs untreated glass. Keeping out unwanted interior heat from the sun, Car window tinting helps create a more comfortable driving experience while reducing fuel costs. Our car window film blocks up to 99% of UV rays while greatly reducing heat. Reducing these two causes of fading helps to protect your valuable vehicle’s interior. By stopping nearly all the UV rays, window film provides an effective block for your skin against the harmful effects of the sun like skin cancer and severe eye problems. Glare is annoying and can also be dangerous if it blinds your vision. Like quality polarized sunglasses our car window tinting does a great job of cutting out glare. Accident can send glass flying at you car window films can provide an extra level of protection in case of breakage and increased security for your valuables against break-ins. Tinted windows greatly enhance the look of a car. We carry many brands and there’s a range of shades to give you the look you want. If you have a car and need the windows tinted call the car window tinting Melbourne experts and get it done right the first time.